Identifying the numbers from 11-20 can be tricky for kids–especially when they are not on a calendar or number line. 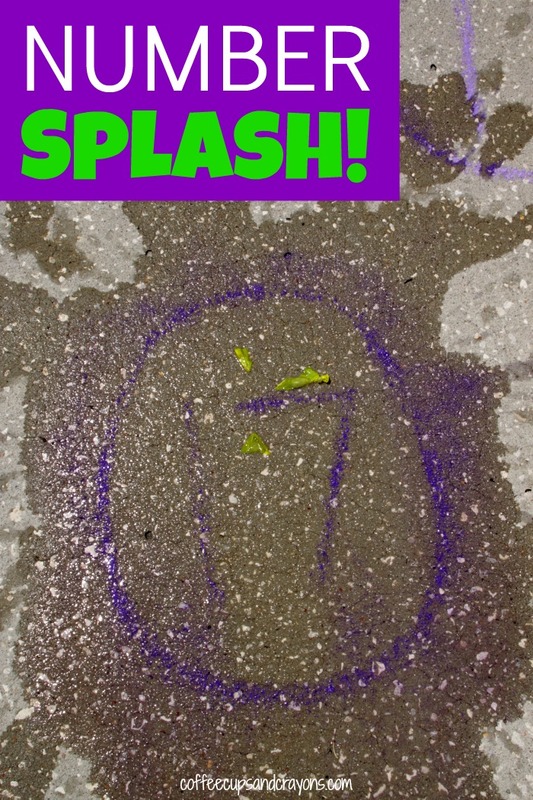 We got out some water balloons and played Number Splash to make the practice more active and fun! kids who are ready for some math fun! 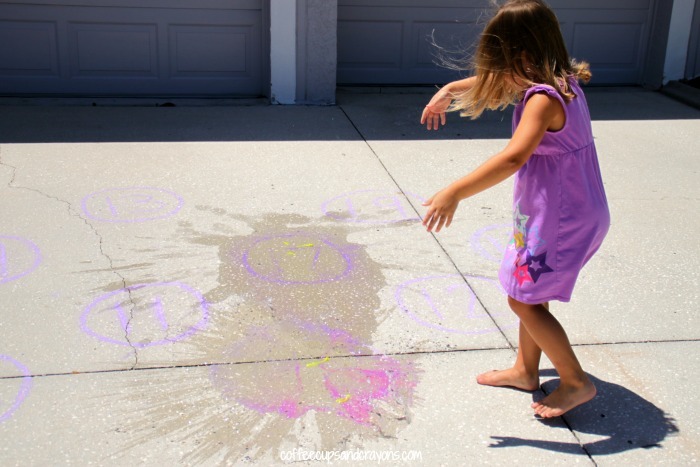 Before I called my preschooler out to play I drew ten circles with chalk on the driveway. I wrote the numbers in the circles in random order, you could do the numbers in order if you are just beginning to practice identifying 11-20. Once the circles were ready I called her out to play! We reviewed the numbers together and then grabbed the water balloons. I called out a number for her to find and bomb with the water balloon. It was lots of fun! 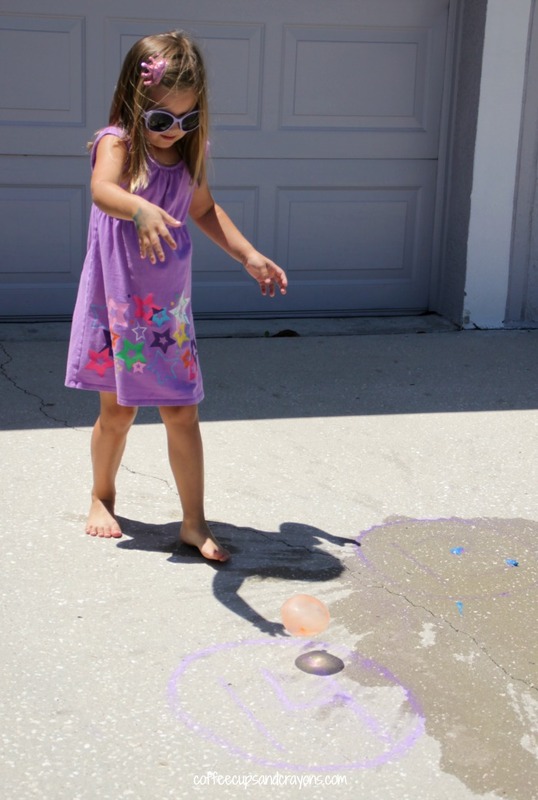 You could use water balloons and sidewalk chalk to practice other things too–sights word, letters and math facts could all be easily swapped for the numbers. This is fabulous! I always enjoy your active learning activities for kids!